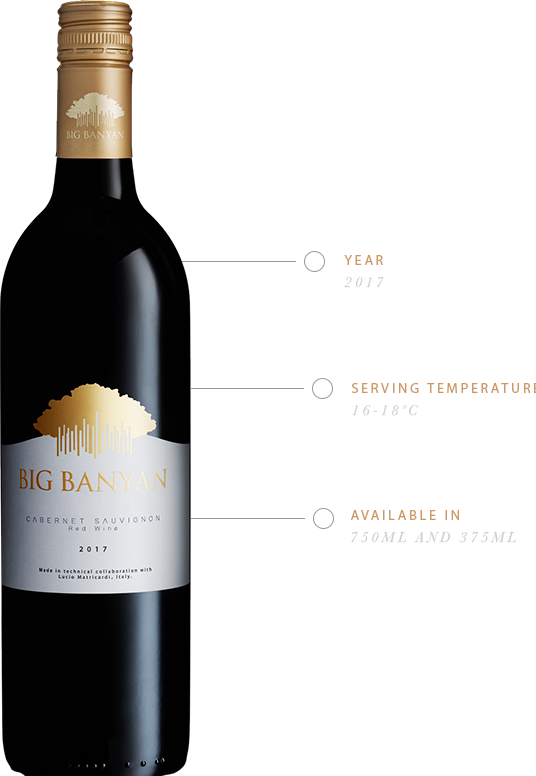 The Big Banyan Cabernet Sauvignon has a deep, intense personality. While the grape is harvested across the world, the warmer climes and varied soils of India make it more interesting. A heady mix of sharp eucalyptus, sweet fruit and fragrant oak create an intense and complex medley of notes. A luscious ruby red with tints of purple wink at you in greeting. As you savour the rich, full-bodied glory of this wine, the velvety tannins leave a dry sensation at the back of your mouth.